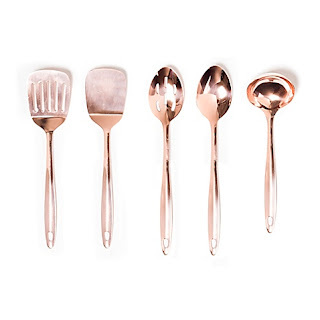 Things are about to get really cute this year on the blog. 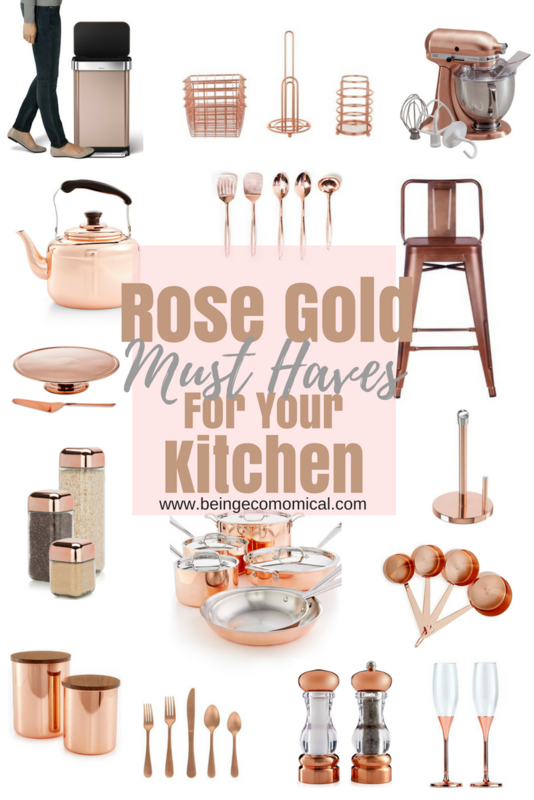 I am excited to share with you all my new theme for the year, in which I will be blogging about all things rose gold and must-haves with glitter and sparkle! With that being said, I decided to start off with some must haves for a dreamy kitchen redo this year. 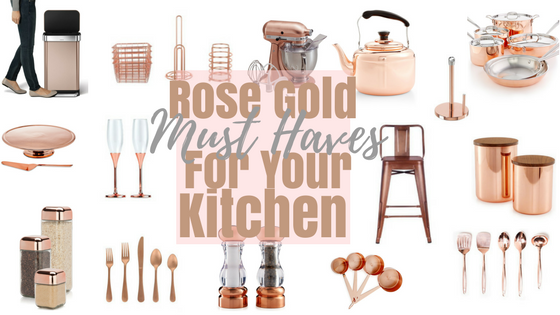 Take a peep at some of the top selling rose gold kitchen accessories and don't forget to share to your fabulous friends! 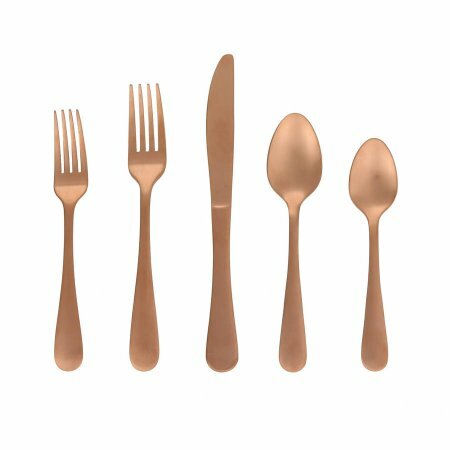 Mainstays Kitchen Bundle gets you to the right start in adding a touch of rose gold to your kitchen counter tops. The bundle includes a paper towel holder, utensil holder, and storage containers. 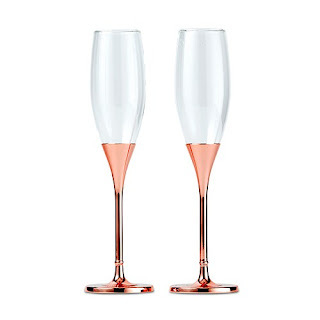 This set of two rose gold toasting flutes come in handy for those intimate celebrations that's to come this year. 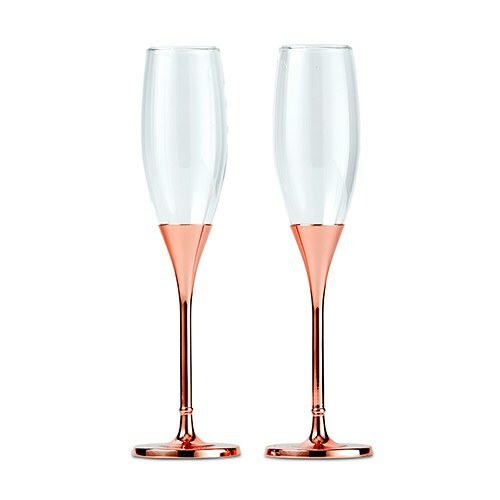 Celebrate Valentine's Day, your wedding anniversary, or birthday in style with this pair of rose gold champagne flutes. Mainstays flatware set is super affordable if you're wanting to add that touch of rose gold to your kitchen's ambiance. 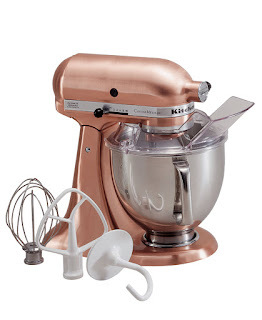 You can definitely make a statement with Macy's custom metallic stand mixer! With over 150 five-star reviews, it's the ultimate kitchen appliance. 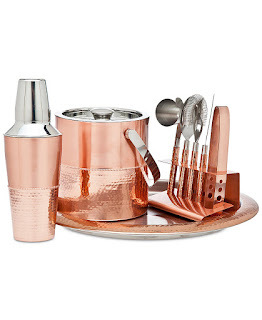 Or, how about a bar tool set you can place on your buffet table, or even in the living room for entertaining guests? 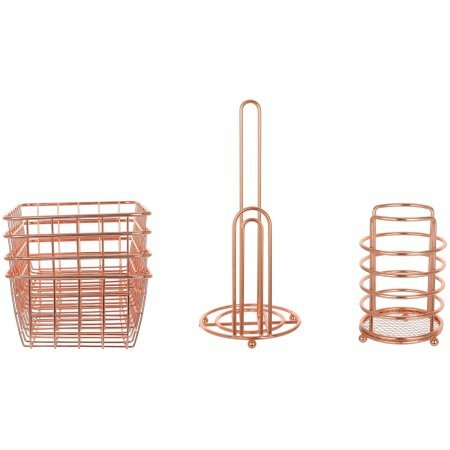 This is the perfect rose gold solution for doing just that. 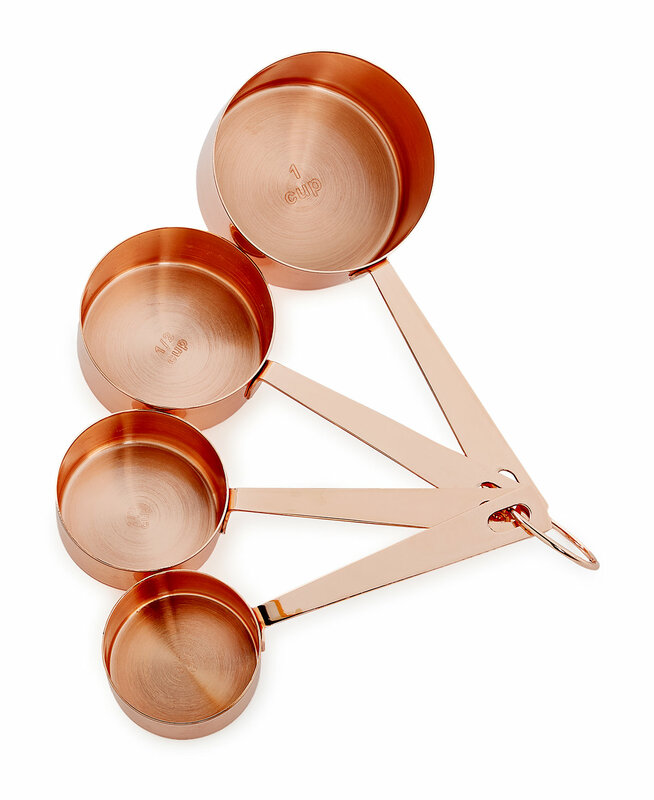 You can't add a color scheme to your kitchen without the pots and pans! 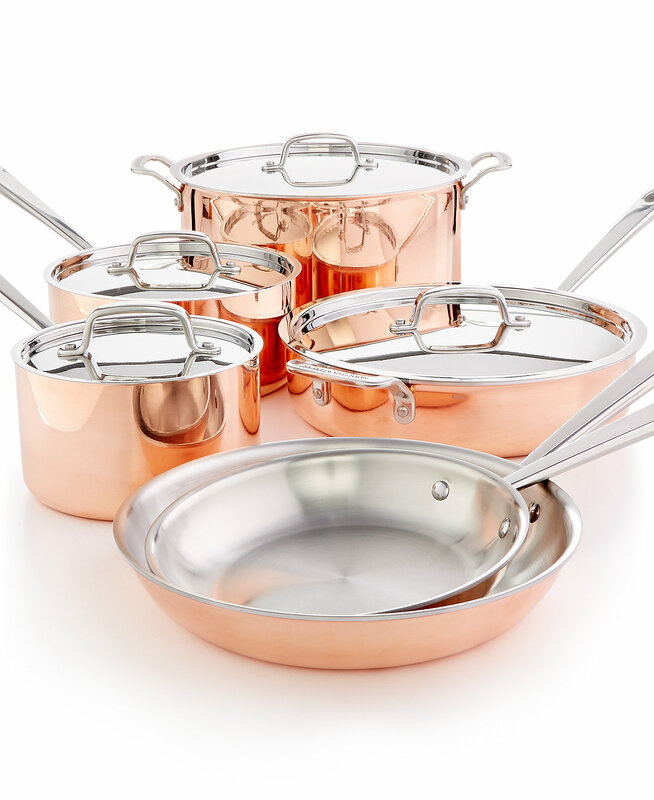 This ten piece copper cookware set makes the perfect add-on for any kitchen. 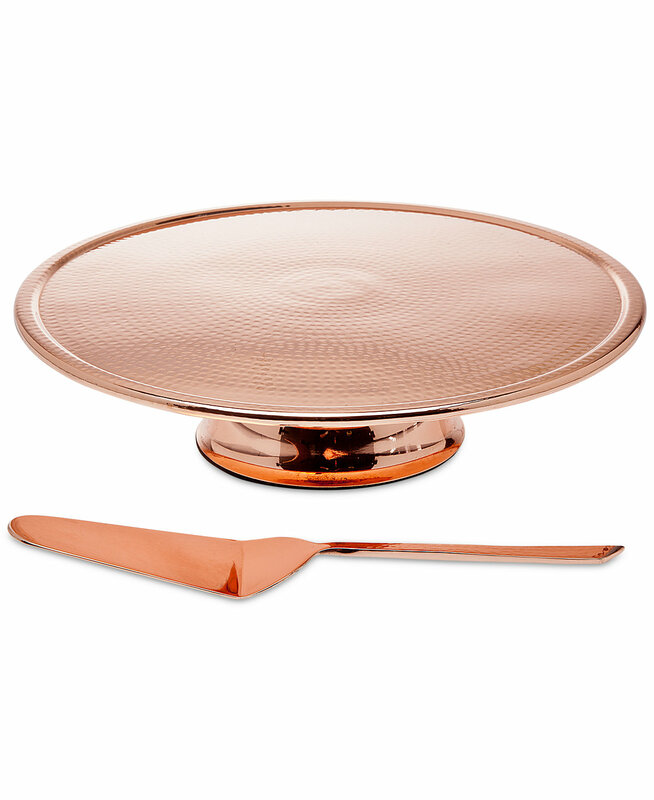 They are even oven and broiler safe and include a lifetime warranty if you ever experience any chipping. 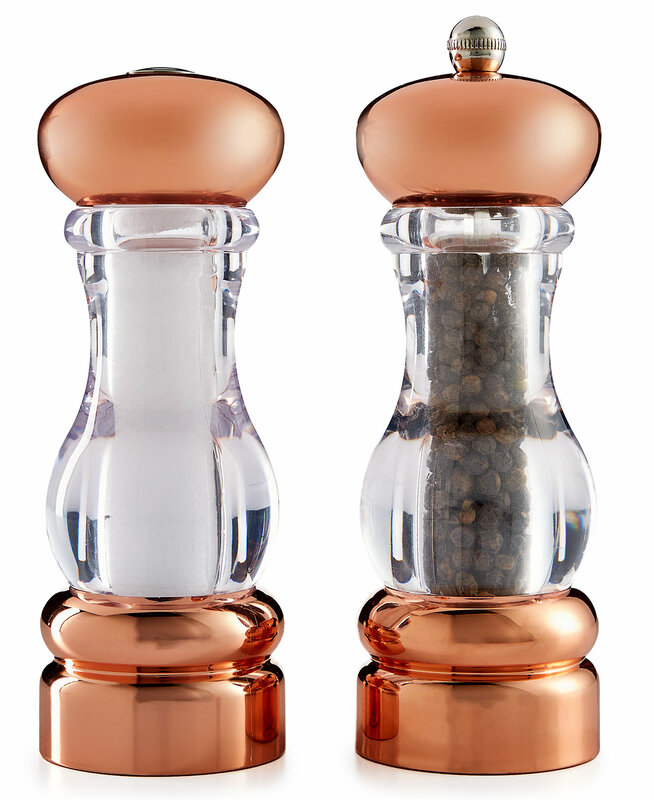 This set of salt and pepper shakers are perfect to add to your kitchen table, counter, or bar while enjoying your meals with the family. Here's another piece from Martha Stewart's collection, the copper tea kettle. 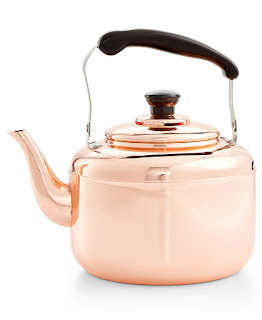 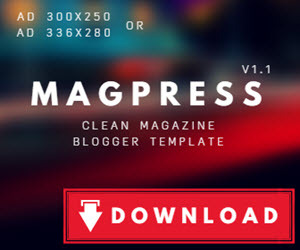 Sit this on your stove all day to add the hint of rose gold you're looking for. 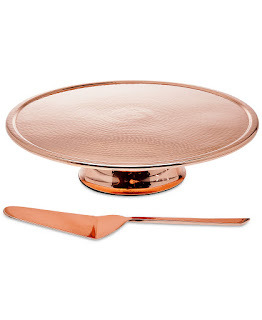 This cake stand makes the perfect addition to your counter top or buffet. 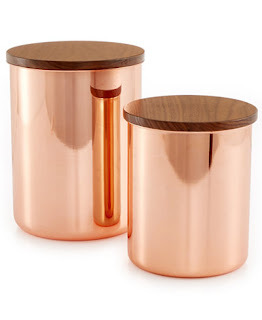 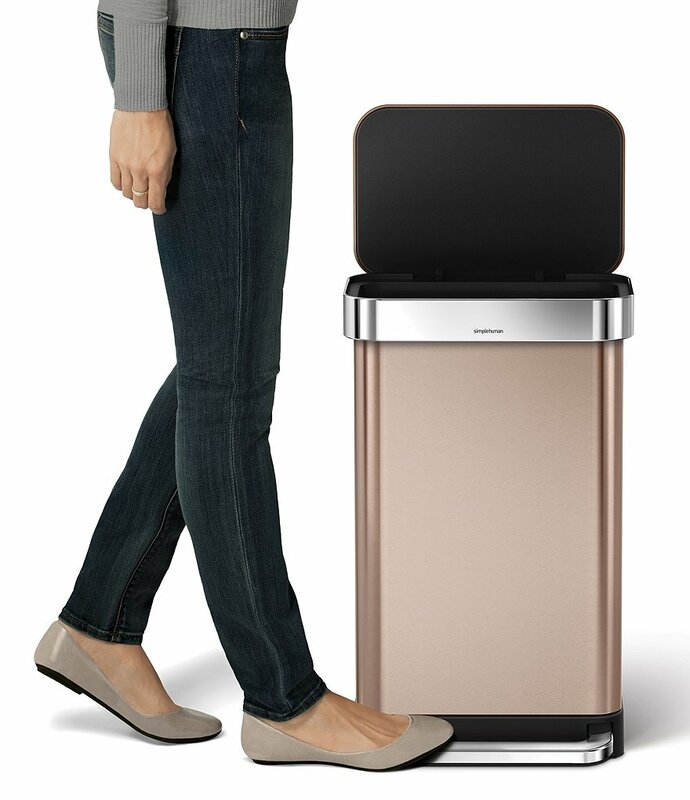 Another useful accessory to add is a rose gold trash can. 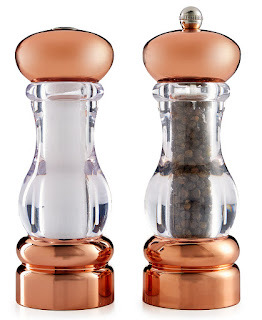 I mean, how adorable? 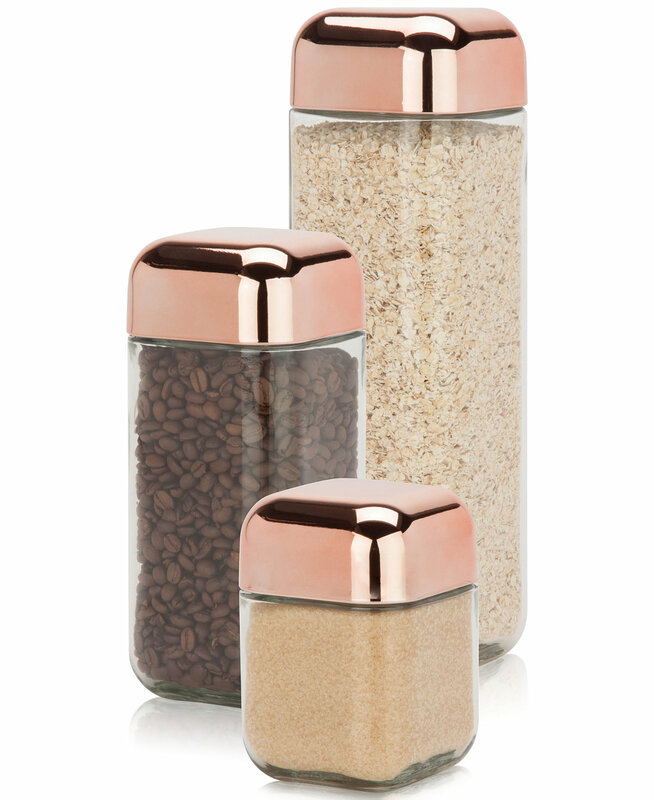 This set of three canisters are another stylish addition to your counter top, adding a hint of rose gold and nothing over the top. Measuring cups are a MUST for any kitchen and these copper plated measuring cups are the perfect add-on. Needing new cooking utensils? 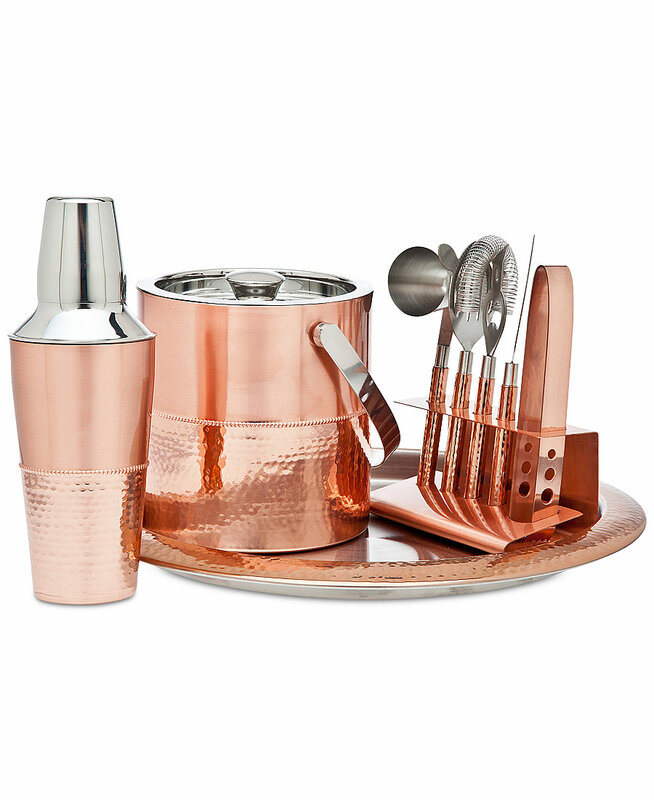 This is set of copper cooking utensils would be perfect to store in your new copper cup. 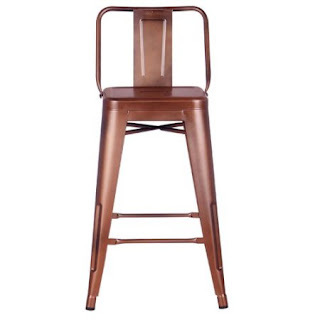 Add these bar stools to your counter top table or bar for a hint of cuteness! This set of two canisters are perfect for the cookies or even you coffee beans. We all that keeping those beans fresh is most important! 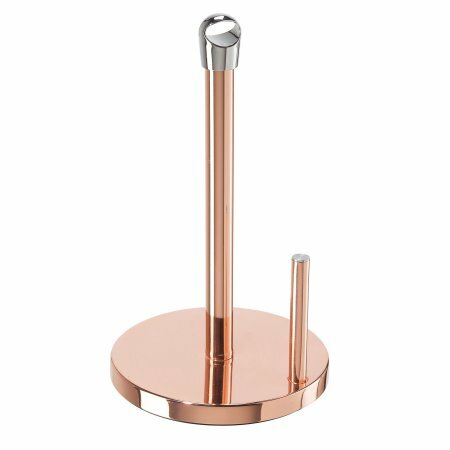 Make a bold statement with this gorgeous paper towel holder. If you're looking to add a touch of glamour to your kitchen this year, check out these products and let me know what you think and don't forget to share with your friends!